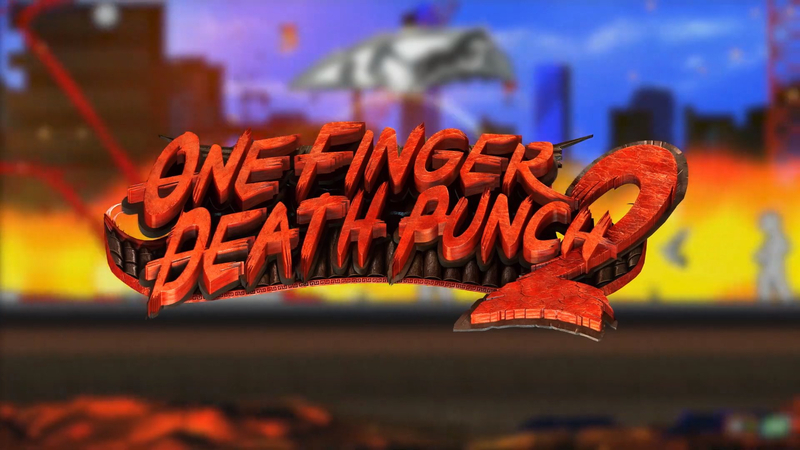 Silver Dollar Games has announced that One Finger Death Punch 2 is now available on PC. Players will take on the role of "the chosen one" with the express goal to "fight through wave after wave of bad buys". Surprisingly given the title, players will use "advanced martial arts techniques, various weapons, deadly skills and surroundings" as they play through 400 levels, 15 different level types, 4 endless survival modes and two gauntlet runs. Grab a copy for a bargain $6 on Steam! "It's been a long five years for my brother and I, and now that the game is available, we're going to get TOASTY," says Silver Dollar Games' Jon Flook while holding a comically large toaster. "Once we're done enjoying our toast, we'll FINISH HIM! And by that, we, of course, meancontinue work on getting One Finger Death Punch 2 onto additional platforms, including PlayStation 4, Xbox One, and Nintendo Switch in hopes we achieve a FLAWLESS VICTORY."